Lucid may be best known for their range of comfortable and competitively priced mattresses and mattress toppers but they’ve recently added the L300 Adjustable Bed Base to the mix. The best news? You can be set up in your home in about five minutes. So who might it be a good match for? Read on for my full review. Weight Capacity: 750 lbs for Twin XL and Queen bases. Lucid recommends creating a Split King with two Twin XL bases for couples nearing or exceeding that weight. Compatible Mattresses: While you can use a Lucid mattress with this base, you can also use any mattresses that are adjustable base-friendly. 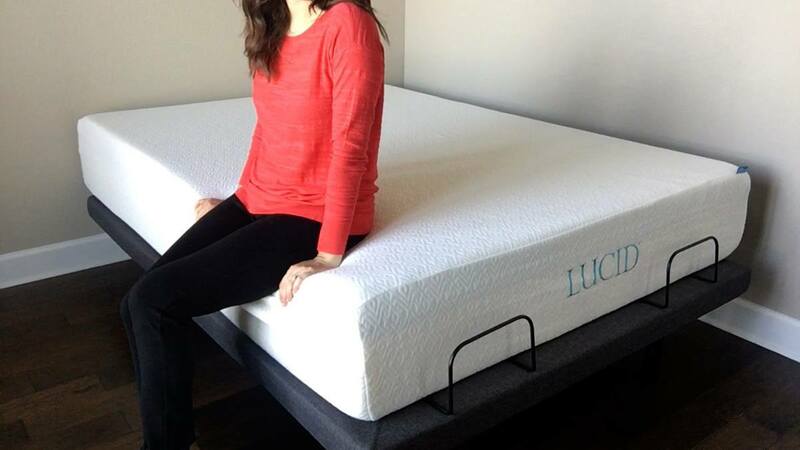 Ideally, you want your mattress to be 8” to 12” in height – with 10” being the sweet spot, according to Lucid. Who Might Like The L300? People who are on a budget. Since the bed is foldable and can be shipped directly to you to set up on your own, it saves money which helps keep the cost of the bed low. You can try the adjustable base for $799 for a Queen. People who don’t like to build furniture. The bed arrives as a single piece – all you need to do is unpackage, unfold it, screw in some of the legs and plug it in. There is very little work to do once you are able to get the bed into your house (it will take at least two people). People who want to charge their devices easily from their bed. 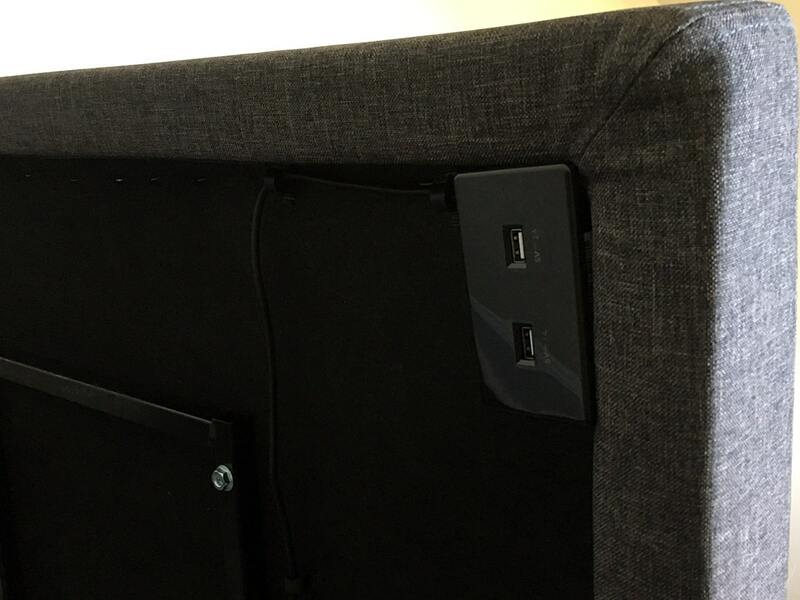 There are USB charging ports on either side of the bed, out of sight but easily accessible. They work with iPads and other devices so it’s super easy to keep your electronics charged while you’re enjoying the bed. Who Might Not Like The L300? People who want a lot of extra features. The L300 base is solid and gets the job done for a good price. It doesn’t have all the extra features – like massage or under the bed lighting – but it does come with USB charging ports and a programmable remote. You’ve got a thicker foam mattress. Lucid says the ideal mattress thickness for their adjustable bed base ranges from 8″ to 12″ with 10″ being the optimal thickness. From my experience using it with a 12″ thick Lucid mattress, thicker mattresses don’t bend as easily. If you incline the head or foot, the mattress may not automatically bend with it unless you are on top of the mattress. I would recommend a 10″ mattress or thinner. People who want to try it out first. There is no showroom to try the adjustable base so you cannot see it for yourself before ordering online. There is a 30-day return policy on the Lucid L300 adjustable bed base. Based on my experience, the Lucid L300 Adjustable Base is a good value at a good price. 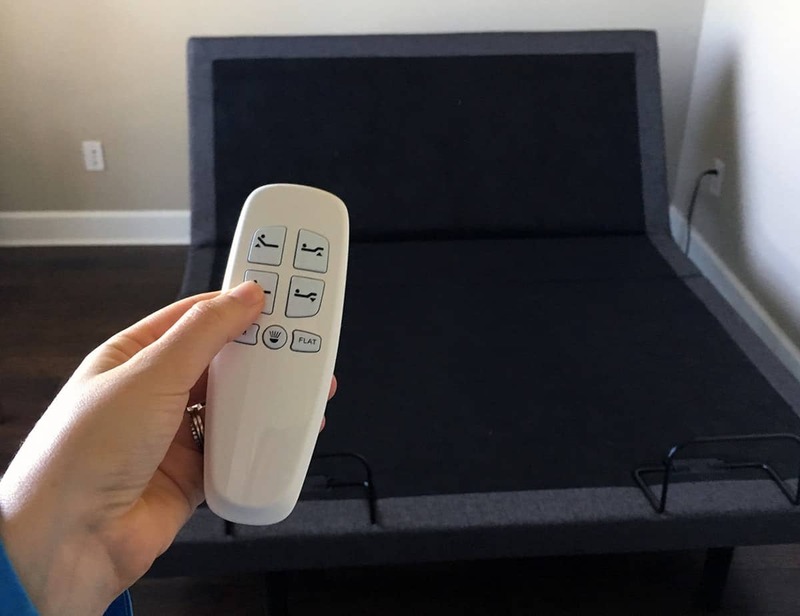 You get the main features of an adjustable bed, with a head and foot incline, as well as a few fun extras like USB charging points and some cool remote features. 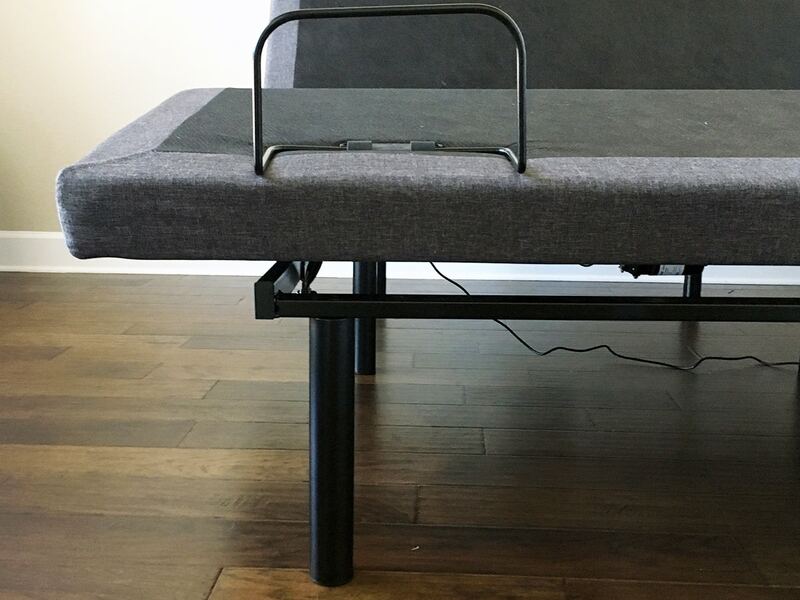 I reviewed the L300 bed base with a 12″ Lucid mattress. There is technically no mattress profile height limit with this bed, but the legs are 15″ off the ground, so thicker mattresses make it harder for some to get into the bed. Thicker mattresses also don’t bend very easily with the head/foot incline of the bed, unless you are sitting in them and your weight is holding the mattress down and forcing it to bend with the bed. 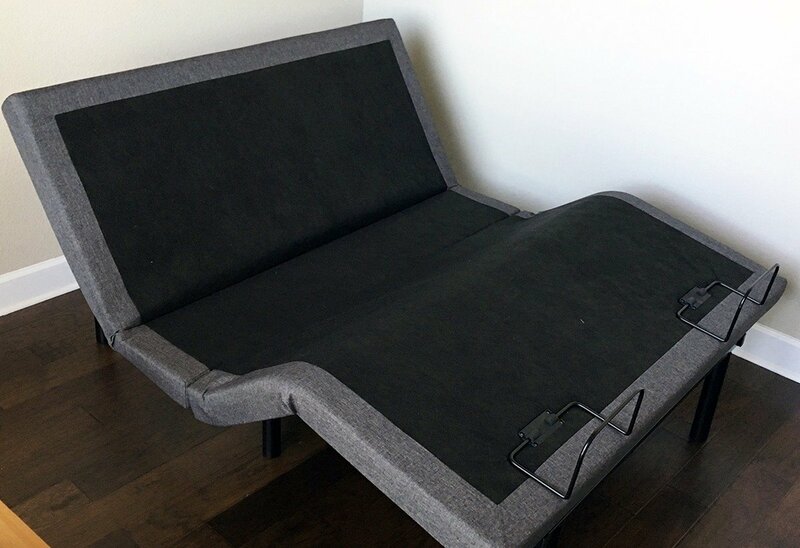 This could be a great jump into adjustable beds for those who are curious but don’t want to spend a ton. Putting two Twin XL beds together makes it a Split King option for couples as well.